Now that IsaLeanTM Shake Plant Based is available across our European markets in Vanilla Chai and Rich Chocolate flavours, there’s little question that they’re in a class of their own. But the popularity of the flavour is far from the only reason that they stand out from the rest. Keep reading to learn our top five reasons to love this product! Many shakes on the market can be a great source of protein, however tend to provide little else in terms of macronutrients and nutrients from fruits and vegetables. IsaLean Shake Plant Based provides a healthy balance of protein, carbohydrate and fats, as well as a fruit and vegetable blend, all in a convenient, 250 calorie package. The fruit and vegetable blend is made up of 11 different fruits and vegetables, and supplies a combination of natural nutrients, including vitamins and minerals, that belong in a healthy diet. Getting the right amount of high-quality protein is important for everybody, but if you’re looking to lose weight or build muscle then you might look to increase your protein intake. IsaLean Shake Plant Based contains a blend of plant proteins, from wholegrain brown rice and pea protein, to provide a complete amino acid profile. One serving of IsaLean Shake Plant Based provides 24g protein. Getting the right amount of dietary fibre offers a number of benefits, including support for digestive health and weight management. However, many shakes contain only a few grams of fibre per serving, which can leave you short on this important nutrient. 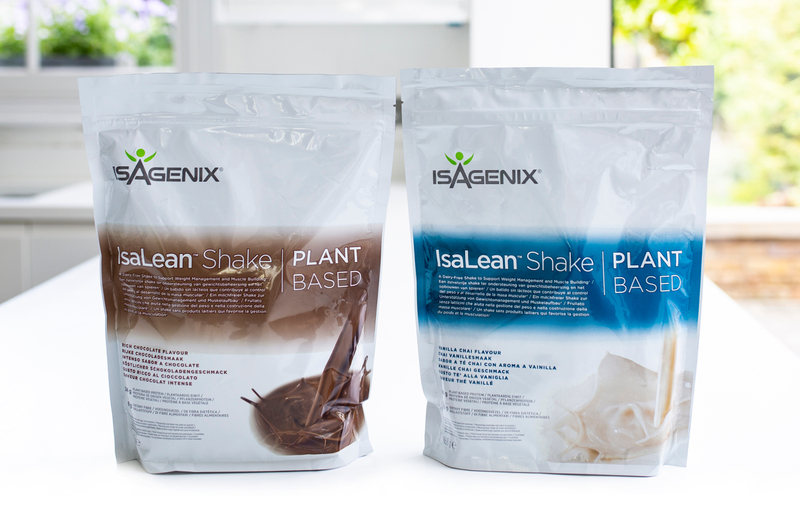 IsaLean Shake Plant Based provides 8 grams of fibre per serving, from flaxseed and other plant-based ingredients. And in addition to being dairy free, IsaLean Shake Plant Based is also free from soy and gluten. You can find the full list of ingredients here. Not every company subjects their products to the rigorous testing that is part of the Isagenix No-Compromise policy, and our IsaLean Shakes Plant Based are put through the same process as all other Isagenix products. This includes sourcing high-quality ingredients from around the world, and a rigorous safety testing process to check the identity, strength, composition and organoleptic properties of the ingredients, before the products are manufactured. Isagenix also inspects and re-analyses finished products, to ensure they fully meet the label claim, such as the amount of protein and fibre per serving. As you can see, IsaLean Shake Plant Based is a nutritionally balanced shake, backed by no-compromise quality standards. You can be confident that you are receiving quality nutrition to support your health, weight-loss and performance goals with IsaLean Shake Plant Based.